Ordinary folks surfing the Web have helped spot two alien planet candidates, a new study reveals. Neither potential planet is thought to be habitable, though one looks to be a rocky world just 2 1/2 times more massive than Earth, researchers said. The other one appears to be about eight times the mass of Earth. Citizen scientists working via the online Planet Hunters project discovered the two candidates in data gathered by NASA's Kepler Space Telescope. While the potential planets still need to be confirmed by follow-up observations, researchers said they're most likely the real deal. The $600 million Kepler spacecraft, which launched in March 2009, is staring continuously at a patch of sky containing about 150,000 stars. The telescope analyzes each star's light, watching for telltale dips in brightness caused when a planet crosses in front of, or transits, the star from Kepler's perspective. Kepler flags these brightess blips using sophisticated sifting software. And it's been very successful so far, spotting 1,235 planet candidates in just its first four months of operation. But some potential planets could slip through the cracks, and that's where the citizen scientists come in. Planet Hunters — a collaboration of astronomers at Yale, the University of Oxford and the Adler Planetarium in Chicago — formed in December 2010 to let Web users scrutinize Kepler data for evidence of transiting planets in the stars' light curves. The idea is similar to that of the Galaxy Zoo project, which enlists amateur aid to help catalog and characterize a million galaxies by their shape. So far, more than 40,000 people have taken up the Planet Hunters challenge, researchers said. And they've now found two candidates that the Kepler team apparently missed the first time around. Users found the planet candidates in data from the first month of Kepler observations. Planet Hunters administrators sent users' top 10 potential planets on to the Kepler team, who subsequently concluded that two of them met the criteria required to be planet candidates, researchers said. Interestingly enough, Kepler scientists had earlier discarded these same two candidates for various technical reasons. "Obviously Planet Hunters doesn't replace the analysis being done by the Kepler team," said Meg Schwamb of Yale, co-founder of Planet Hunters. "But it has proven itself to be a valuable tool in the search for other worlds." Though the two candidates still await official confirmation, Planet Hunters astronomers have analyzed their host stars using Hawaii's Keck Observatory. Fischer estimates the chances that they're bona fide planets at 95 percent. 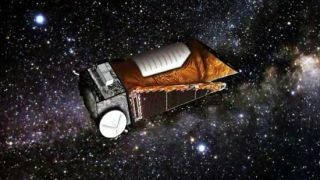 Planet Hunters users are now combing through the next 90 days of Kepler observations in an attempt to add to the count, researchers said. "This is what we found after just a preliminary glance through the first round of Kepler data," Fischer said. "There's no doubt that, with each new round of data, there will be more discoveries to come." The new study will be published in the Monthly Notices of the Royal Astronomical Society. Learn more about Planet Hunters at www.planethunters.org.